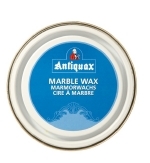 Use Marble Wax to clean and polish, marble, stone, slate and granite. It will remove oil and light stains whilst enhancing the finish. It is available in two sizes.